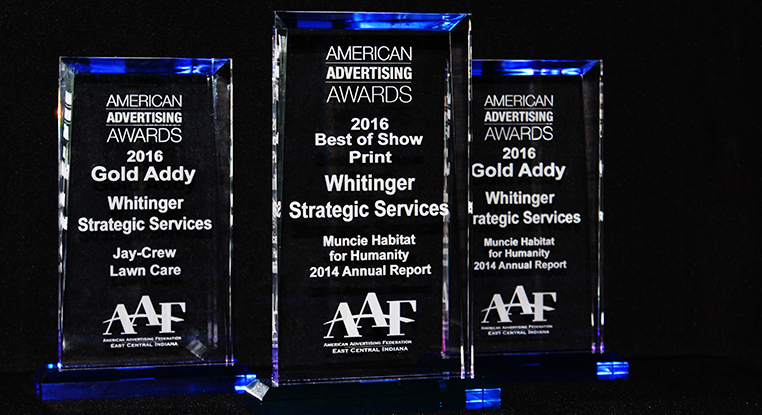  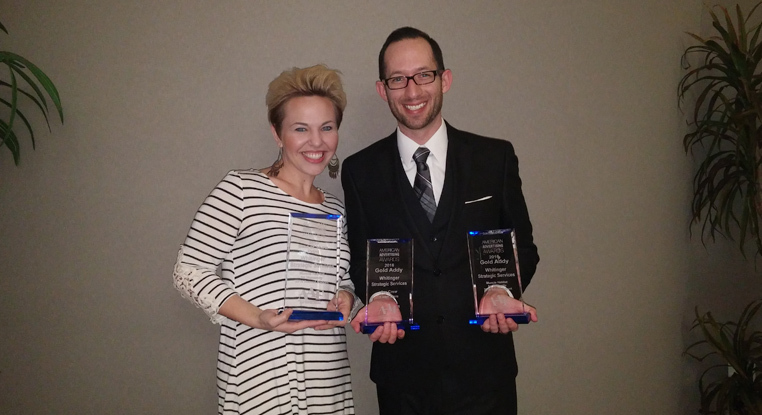 February 1, 2016, Muncie, IN–Whitinger Strategic Services was honored by the American Advertising Foundation by winning 3 awards in the 2016 annual ADDY awards event, including the Best in Show Print award for Habitat for Humanity’s 2014 annual report. 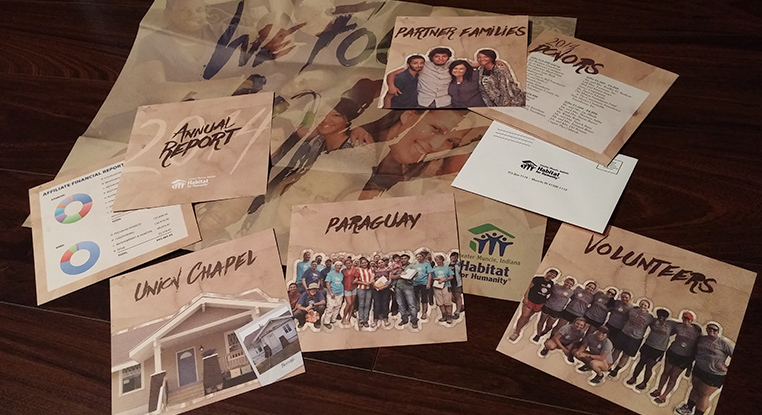 They won a Gold Award in the Public Service category, also for Habitat’s annual report. 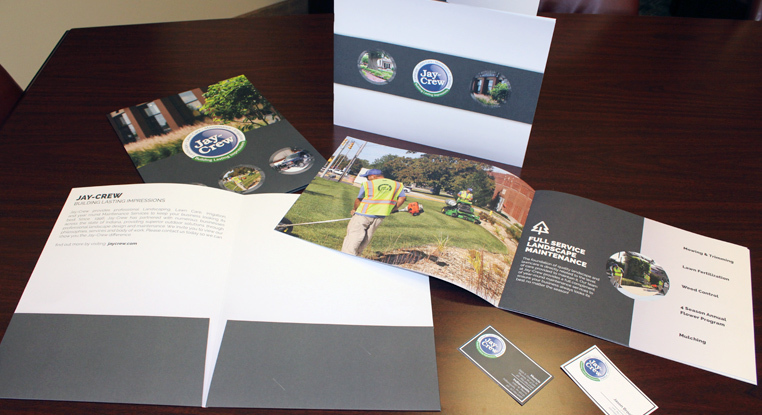 Additionally, the business consulting firm won a Gold Award in the Sales Promotion category for Jay-Crew’s sales and marketing kit.